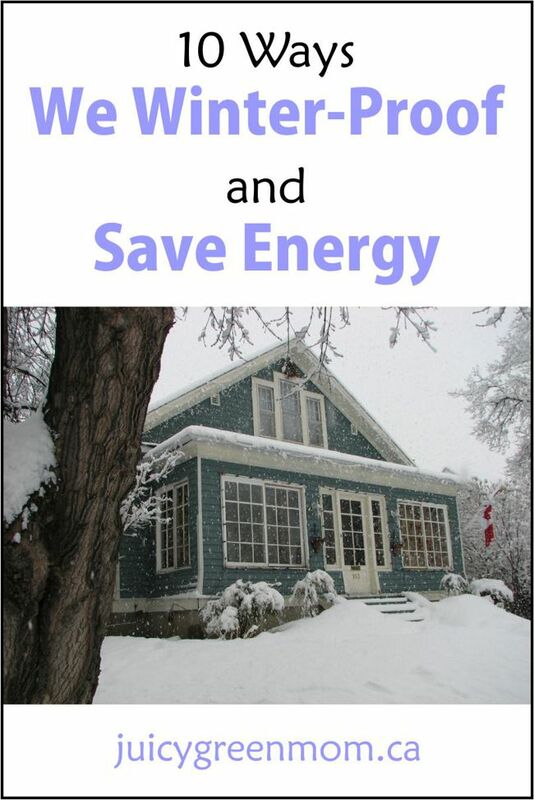 Winter means higher utility bills because of the cold weather and short daylight. It comes with the territory living in Alberta! Obviously saving energy is important for doing our part for the environment, and it has the added bonus of saving on utility bills too! 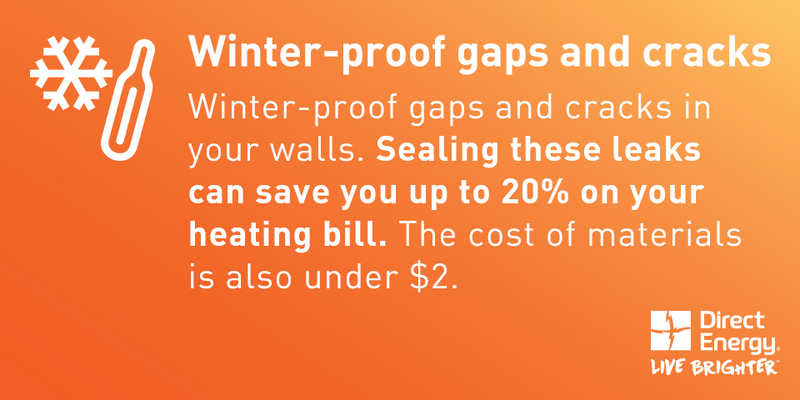 We take some easy steps to winter-proof and save energy – and you can too. 1. Check the furnace filter and perform regular maintenance. If the furnace filter is dirty, the furnace may have to work harder to heat the home. We have a reusable filter that can be cleaned on a regular basis (which I have put into my Google Calendar with a reminder to check it every month during the winter). Giving it a good once-over with the vacuum usually does the trick! Depending on what kind of filter you have, you’ll likely need to replace it at least every few months. If you want to take your home maintenance one step further, consider subscribing to a home maintenance plan. For just $9.99/month you can ensure that your HVAC equipment is always in peak condition which can help keep your energy bills down and make sure you’re covered under your furnace’s warranty. 2. Check doors and windows for drafts. What? No I’m serious. I learned this year that spiders make cobwebs in areas of the house where there are air leaks. If you’re having a hard time trying to figure out if there are leaks around your windows and doors, this can be the key! Cool, right? 4. Use a door draft guard at the bottom of the exterior door. Remember those long heavy fabric things filled with rice or sand that people would put along the bottoms of their doors to keep the draft out? Nowadays there are inexpensive door draft guards that slide onto the bottom of the door to block the gap. 5. Turn the lights off when not in the room. 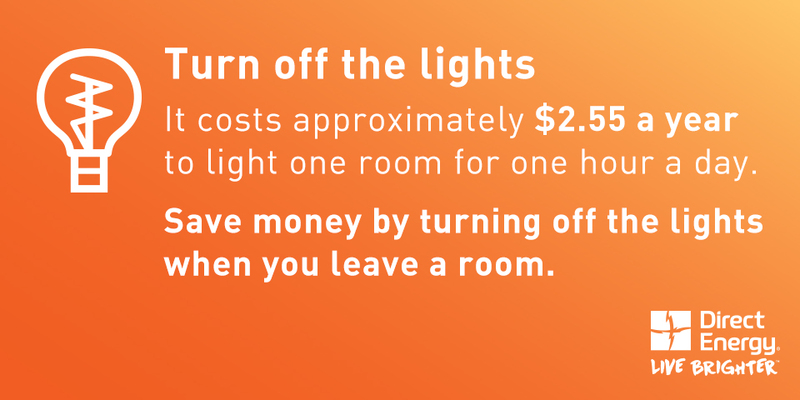 This seems like an obvious one but it’s something we all do and considering that it costs approximately $2.55 a year to light one room for one hour a day, it’s important we turn them off when not in use! Develop the habit of turning lights off as soon as you leave the room (even if it’s just for a little while) and you’ll start to notice a change on your utility bill. I am working hard at teaching my daughter to do this at an early age! 6. Seal up leaks from face-plates of plugs and switches. Several years ago, I went to a little energy-saving workshop and was told about this – otherwise I would not have known! When you take off your face-plates, you’ll likely notice some cold air coming out because of the hole that was cut in the drywall. You can caulk around the area where the electric box meets the drywall to reduce leakage. We were given some foam inserts that go underneath the face plate to add additional insulation. When we needed to replace some of our window coverings, we decided to get cellular shades because the air pockets in each “cell” have the effect of an added layer of insulation over the window. 9. 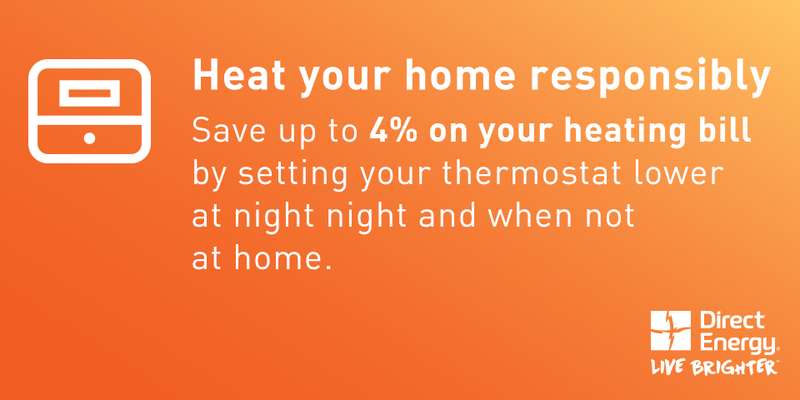 Use a programmable or smart thermostat. We have had a programmable thermostat for many years now, and I LOVE it because I can set it to cooler temps when we’re out, and set it to warm up just before we come home. Now there are even smart thermostats like the Nest Learning Thermostat which actually learns your habits and programs itself. We just got this from Direct Energy and I’m just waiting for my husband to set it up! 10. Drink a hot beverage. I drink so much hot tea in the winter, and pretty much always have a hot cup of tea when I’m going to be sitting and working at the computer. Warming your body from the inside out with a hot tea, hot chocolate, or coffee, will help you to feel warmer so you don’t need to turn up the heat in your house as much. 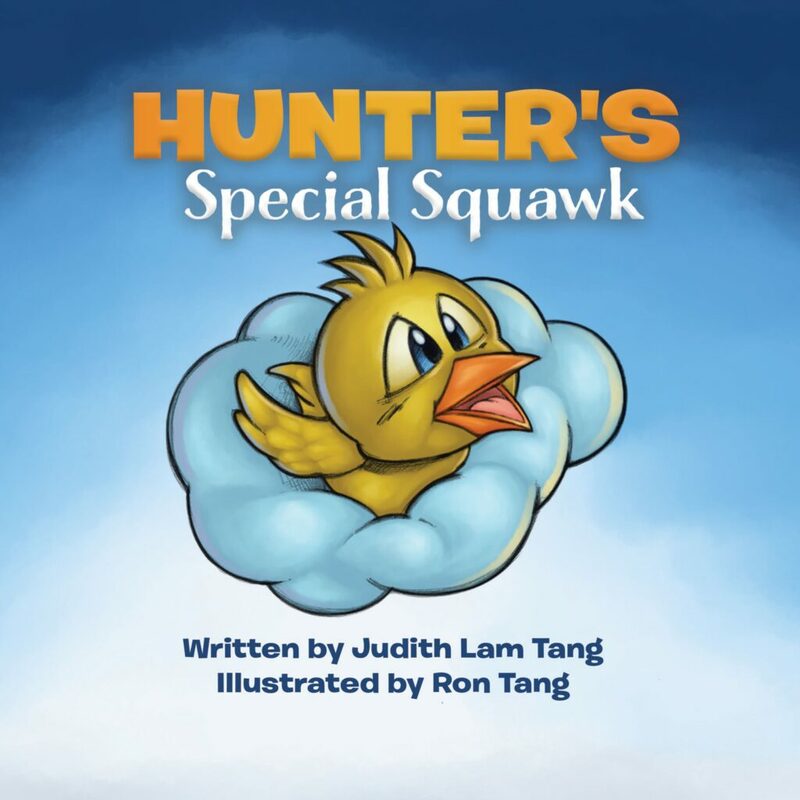 Plus – what’s better than a hot beverage, snuggling under a blanket, and reading a book? For more tips on saving energy, check out Direct Energy’s Alberta Learning Center. 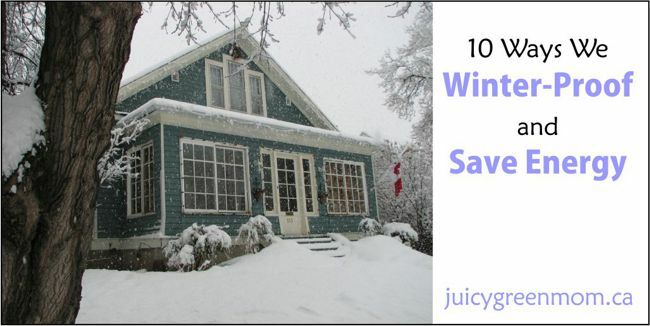 How do you winter-proof and save energy? How is Dry Cleaning Toxic to Your Health?